"Made in india" by OM Nanotech Pvt. Ltd. 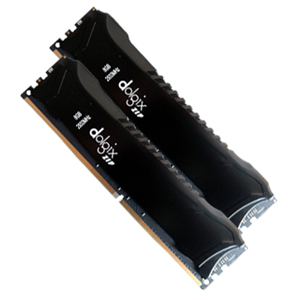 Improve your computer's performance to the maximum by upgrading our DRAM (Dynamic Random Access Memory). Squeeze out the maximum performance out of your Processor. Give your Operating system more space to work. As rightly said, Processor increases the speed, but Memory increases the efficiency, whereby, enabling you to run more applications simultaneously. Our DRAM modules are specifically designed for your motherboard needs. Be it a basic cost effective motherboard, or be it a high-end gamer motherboard. Do try our variety and customized options available, which you would not get anywhere else. Our computer DRAM are tested 100% to ensure reliability and performance. They are tested in real-time environment, so that it works best in your computer motherboards. When you choose our product, be assured, we give you the best of prices in industry with the quality of DRAM that we offer you. Go ahead and select your required DRAM. For any doubts that you may have, feel free to contact us. Kindly fill in this form and we will assist you. Dolgix is manufactured by OM Nanotech Pvt. Ltd., India. Om Nanotech manufactures products under brands Dolgix, Dolgix Gold, Zipmem. Manufactured by OM Nanotech. Pvt. Ltd.